Can we start by discussing how flipping adorable this packaging is? I love how minimalist everything is, with the bold black font on such a light background and then that pop of pink coming through on every product. SO DARN CUTE. It all came really well packaged too, inside that pink little zip up bag, which I'll definitely be taking on my next holiday with me! If any of you were wondering, they've made shipping to the UK free on all orders over £25, and the best part is, there are no duties or customs to worry about. WAHOOOO! (Colourpop please take note!) I'll cover prices of all of my fave products in this post, but in general I have to say that the pricing is really fair, somewhere between drugstore and high end beauty. They also do not test on animals and pretty much every product I've seen is Vegan too! (Don't quote me - I've not checked every one!!) 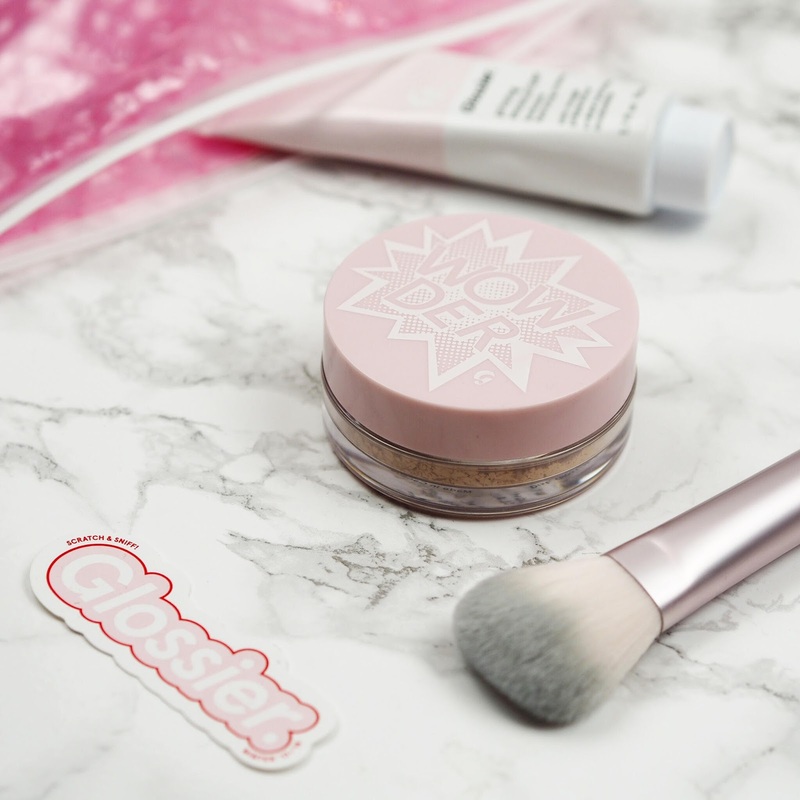 Their ethos is all about fresh and dewy looking makeup, and really gentle skincare, and the products definitely echo that. 1. Priming Moisturizer (£18) - To say I'm obsessed with the way this makes my skin look would be a mild underexaggeration. I've been using it on all of my friends when I've been doing their makeup (cough cough Megan and Becky) so I could test it on a few different skin types, and every time I LOVE the result! When you first start gently rubbing it in, it feels like a moisturiser, just a little more tacky, but then it just sinks into the skin and leaves the perfect base for foundation. It also doesn't thin out your foundation like a normal moisturiser would do, just leaves the skin really nice and hydrated. 2. 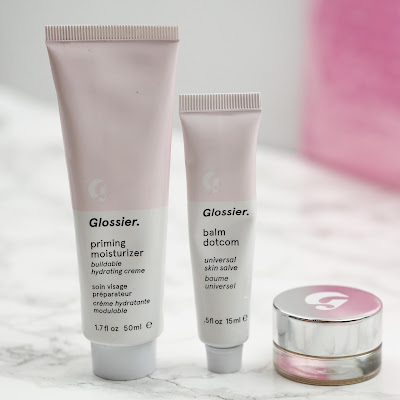 Balm DotCom (£10) - I wanted to test out the clear version of this before I ordered it in ALL of the colours, cause I really am going to get them all. (You best believe it!) Its texture is similar to Vaseline or any other petroleum based balm, yet this one has a way thicker consistency, so the staying power is so much better! It hasn't got much of a scent and it's paraben, SLS and general nasties-free so it'll be great for those of you who suffer with eczema in the colder months. I'll be doing a post soon on all my fave lip balms and I wouldn't be too surprised if this one makes the cut! 3. Stretch Concealer (£15) - This guy is an absolute hero of a concealer. Typically I use a beauty blender to apply other concealers but for this one, it's best to use your fingers. This photo really doesn't do justice for how creamy this stuff is either, I was so impressed by how nicely it applied and how bright and alive it made my undereyes! 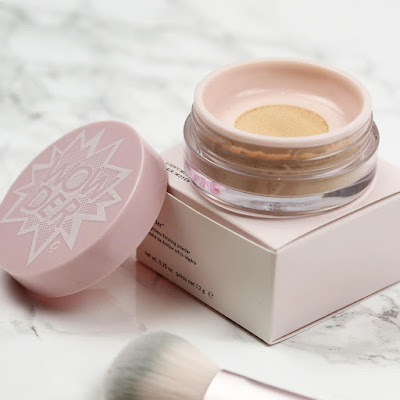 It's lower coverage than LA Girl Pro Conceal and Urban Decay Naked Skin Concealer, but it's definitely buildable; and I've been more than happy to leave the house with this under my lids! It is quite a dewy finish though, so if you're a matte skin gal or guy, bear that in mind, although I'm sure it could easily be set down with a mattifying powder. 4. Wowder and Brush Duo (£30) - I do try not to get suckered into buying expensive brushes all the time, but I'd only heard good things about this one, plus sometimes nice synthetic powder brushes are hard to come by so I thought I'd give it a go. The Wowder is £18 on it's own so I think I saved about £4-5 buying it in a set and I'm so glad I did. 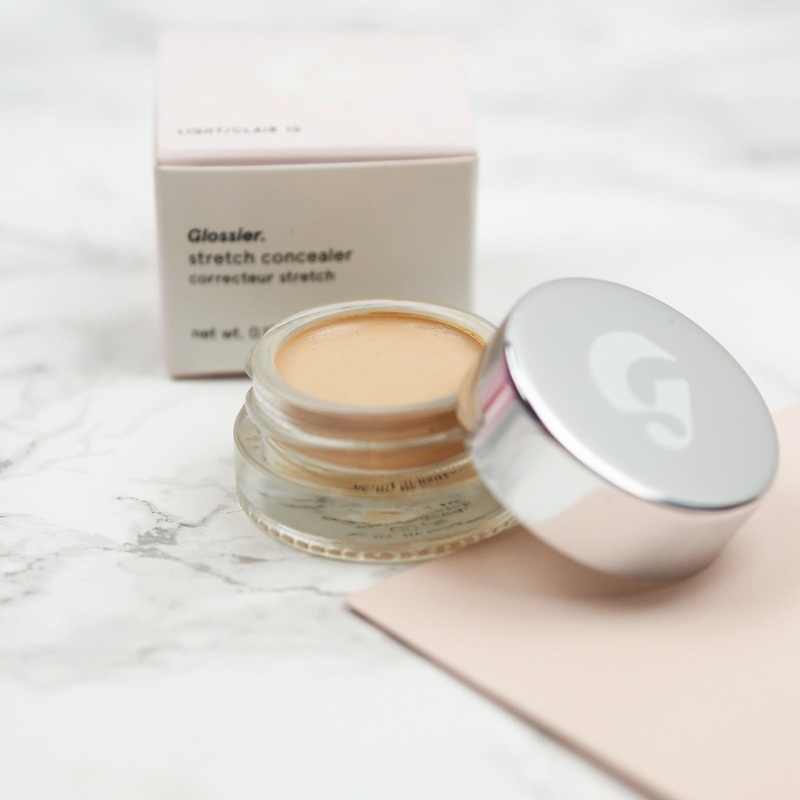 The clever little gauze design stops excess product being wasted as it's a loose powder and the brush fits perfectly into the little dip, and I find sets my makeup nicely. I bought the shade Light-Medium and I find it perfect for days when I want to set down a foundation but not mattify it. I think it's buildable too, so for those of you that might need to top up throughout the day, I still think this is a great option! 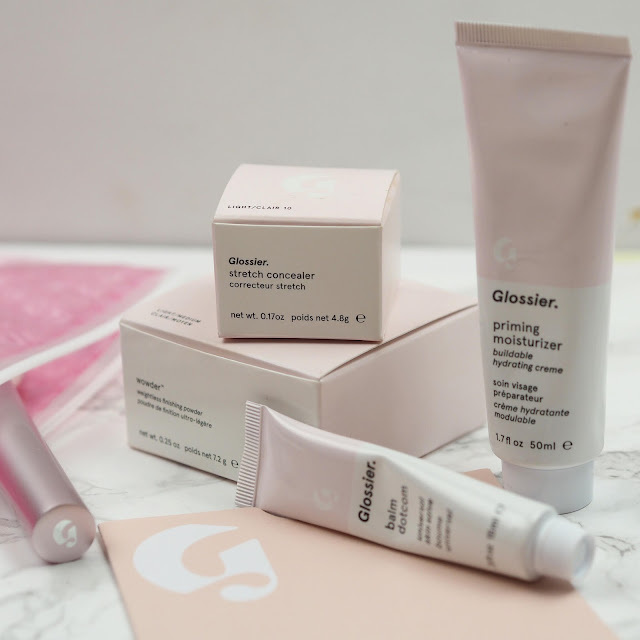 What are your fave Glossier products? Is there anything you think I should try? Let me know! I've heard such mixed reviews about Glossier since it launched in the UK! The Balm you reviewed seems to be the only product that seems to get the best reviews, so I may have to invest in it! I do adore the packaging though, it really is beautiful!